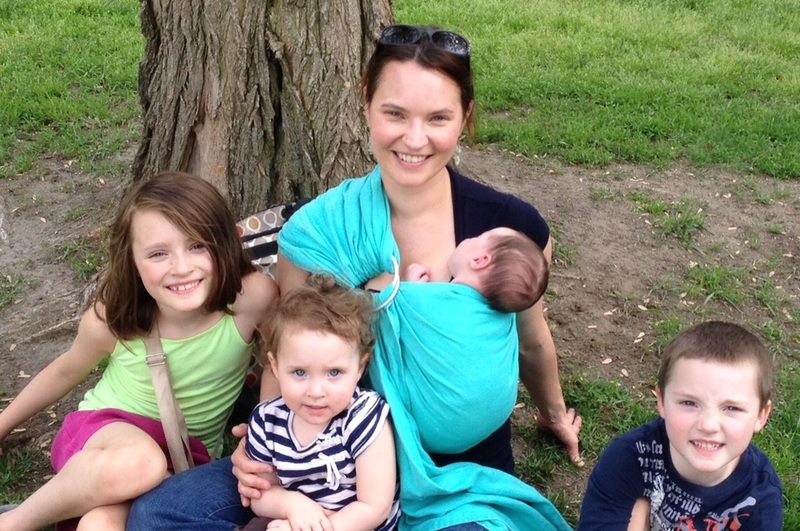 A few weeks ago, I interviewed my friend Miriam about being a new mother. Her words were so helpful, that I’ve decided to start a new series in which I talk with women about their experiences with pregnancy, birth, and motherhood. I will also be asking for advice – so if you have any pressing questions, please post them in the comments or email me, and I will include them in my next interview. I could not think of a better woman to kick off the series with than Jenny Everett King. 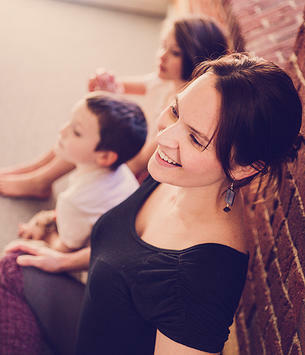 Jenny is a prenatal yoga instructor, birth photographer, doula, and mother of four. She also writes eloquent, heart-felt, honest, down-to-earth stories about her life over At the Crossroads. I stumbled upon Jenny’s writing through a friend’s post, and was immediately moved, so was thrilled when she agreed to be interviewed! Below are Jenny’s thoughts on laboring as a doula, incorporating a yoga mindset into mothering, and recalibrating expectations to meet experience. What have some of your favorite moments been from your own pregnancy, birth, or time as a mom? There are a lot! In pregnancy, I love the moment where you find out. I love seeing the two lines or the plus sign. I do not love pregnancy. People think that because of what I do, I must enjoy it. I am not a fan of the actual experience at all. There are moments. Feeling a baby move is always amazing. I love that part. But I struggled with the whole idea of my body being taken over, kind of the loss of control. [As for motherhood], it’s the same as the reason I love going to births: Kids are so real. They come out with things that are just so honest. For better or worse. And it’s refreshing. They give me a new perspective on the world a lot of the time. And I love the big questions. I know a lot of parents kind of dread when their kids ask some deep question, but it’s kind of one of my favorite things. What helped you through your pregnancies? I think you try to focus on the positive aspects. The things that are specific to pregnancy that you wouldn’t necessarily enjoy at another point in time. You don’t have to worry about birth control! Little things like that, that maybe are luxuries the rest of the time. Also, I tried to be pretty gentle with myself. 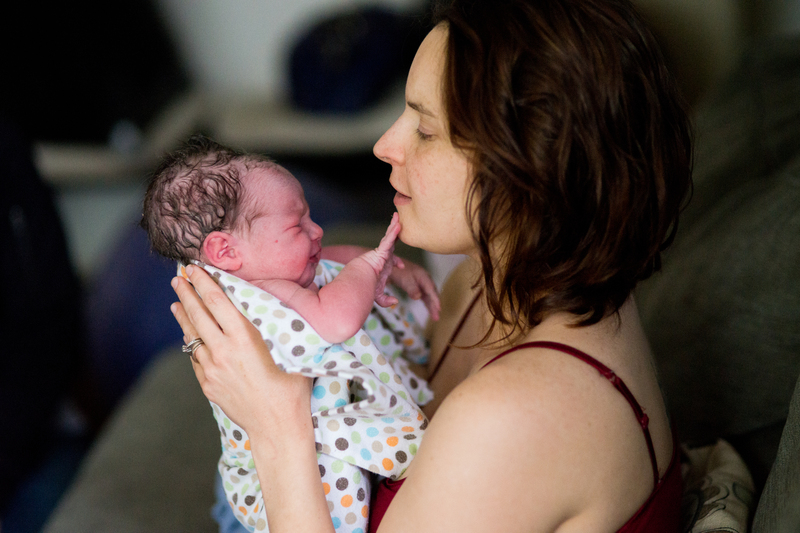 How has witnessing births as a doula influenced your own birthing process, and vice versa? So many of us get into this line of work because of the birth experiences we had. And sometimes it creates some really tricky expectations for our own birth. That was definitely the case with my son. The home births I had been to were really peaceful. The mothers progressed like you didn’t even know that they were in hard labor – so calm, and with really very little discomfort. 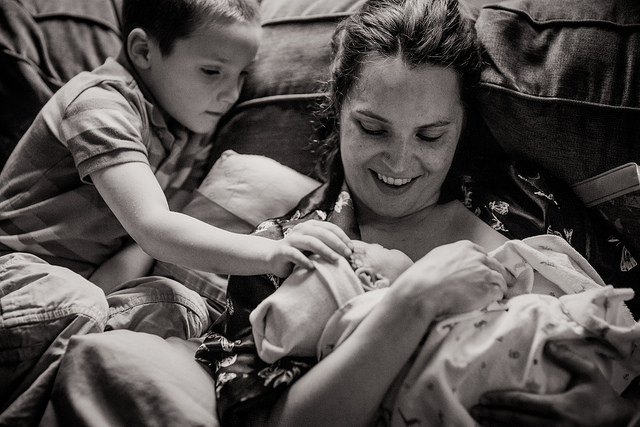 So even though I’d had three babies, and I knew that labor for me is not generally pain free, I had this idea that if I was in my own home, and I didn’t have to go anywhere, and everything was relaxed, that I would not have all that much pain. 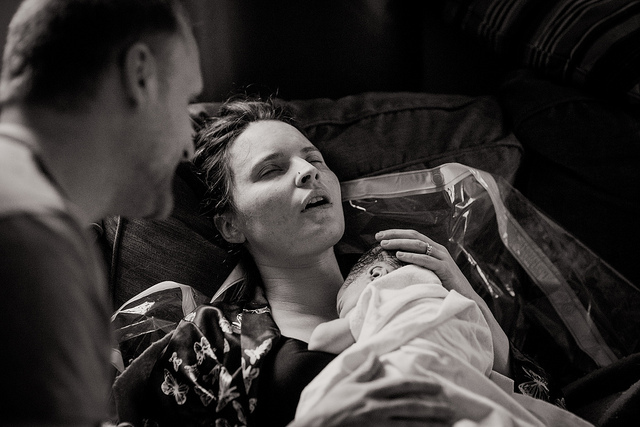 How does being a doula feed, or, sustain you? You can’t have any pretense at birth. It’s as real as people get. And so it’s sort of an opportunity. We spend so much time, as a culture, keeping up appearances. Even among our friends and even when we’re a little more relaxed, we still have this persona. When a baby’s being born, all that disappears. And you just see people for who they really are. I guess I find that really refreshing, because it’s almost always positive. How does your yoga practice fit into your work as a doula and a mother? The foundation of yoga is learning to be okay with whatever you’re experiencing and to not get super attached to anything that’s happening. I think that is huge for pregnancy, for labor and delivery, and for motherhood. Because there are times that are amazing, that feel great, and there are times that are the complete opposite. A yoga practice I think really helps you be at peace with whatever arises. 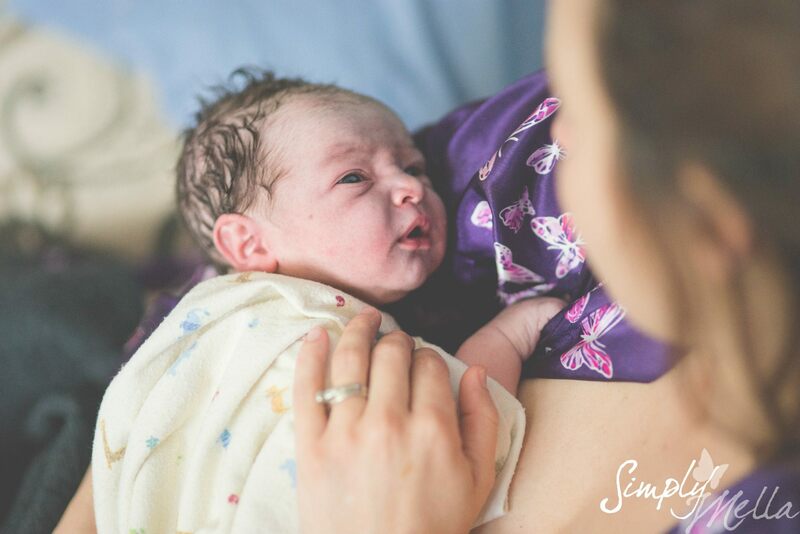 What are some of your favorite moments that you’ve captured at births you’ve photographed? I think my favorites usually revolve around the connection between people. Either the mother and the partner, or the interaction between either the mother and the baby or the father and the baby. In that first hour after birth, babies are really alert. Most people don’t know that – I didn’t until I started going to births all the time – we see all these pictures of newborns sleeping. But that first hour, they’re awake and aware, and they’re often just staring at their parents’ faces. They look at them like they know them – the baby will respond to the parents’ voice, or kind of turn in their direction. I guess it just reminds me of how little we know and how little we understand. What do you wish you had known before you became a mom? There are a million things I wish I had known. But I don’t know if it’s possible to know them. I want to say that I wish I had known to appreciate having time to myself more. Little things like getting up in the morning and not necessarily having to have a conversation with anybody. Drinking a cup of coffee until it’s at the bottom of the mug and it not cold. Being able to run an errand without deciding whether the baby was going to come along or stay with somebody else. There’s a certain freedom to it that I miss. But, once you decide that you want to have a child, you don’t really appreciate those things anyway! Because it sounds fun to be taking the baby along, and it sounds fun to wake up to somebody every morning. It is fun. People see pregnant women and they walk up and offer them all kinds of advice. It’s not really a question of whether they’re right or wrong – most of the advice is kind of ridiculous – but it’s about whether you’re ready to apply it. Or even to really know it. How do you deal with the constant demand for your time? I mean, it’s your life. You can spend it being annoyed at the things that aren’t going the way you want, or you can focus on the parts of it that are really awesome and irreplaceable. I also feel like it’s important to communicate to other parents, “yes! Having these demands on your time is hard, and that’s okay.” Rather than, “you should love this all the time!” Because, that’s just not natural. How do you carve out time out for yourself to write? I used to have this idea that it was something that you did when you had the time, when everything else was taken care of. The truth is, it just happens when it happens, and probably something else is going to fall by the wayside. I think my kids ate lunch today. I know they had a real healthy breakfast. And they ate a fine dinner. And there were some snacks in between. But I definitely was writing a blog post around noon, and as far as I know, everybody’s good. Thank you so much, Jenny, for so thoughtfully and candidly sharing your experience and observations. I look forward to continuing to enjoy your beautiful words and photography over At the Crossroads. Friends, if you live in New Hampshire and are pregnant, you are so lucky! Go Check this lady out! Note: Unless otherwise designated, all photos are by Simply Mella for the Just a Minute: Moments in Motherhood Project.